For now, we only use this information to form an understanding of where our members are interested in traveling, and on what airlines. In the future, we hope to use the information to make premium member deals even more personal. 1. Log into your DFC account. 4. 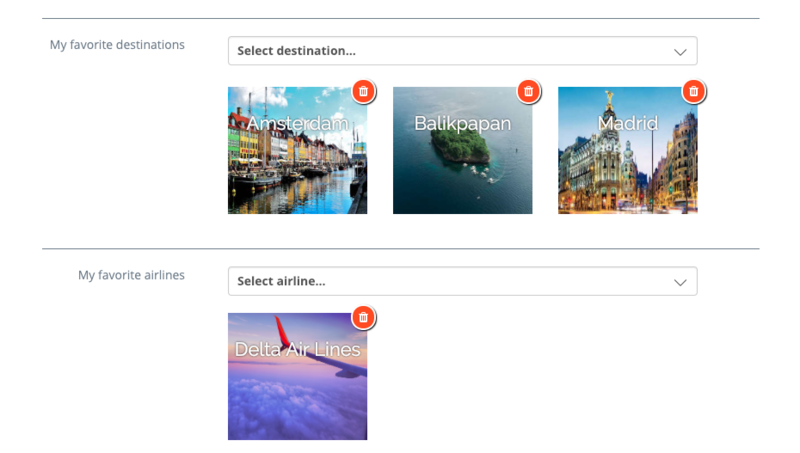 Scroll down to "My favorite destinations" or "My favorite airlines." 5. To add a destination or airline type the city name or the name of the airline into the search bar, select the preferred destination or airline, and select “Add” (the "Add" button will appear after you select the destination or airlines from the list). 6. To delete a departure airport, select the orange and white trash can symbol.